Nottingham is famous for its bars and clubs and Saturday nights draw thousands to the city both in the city centre and the Lace Market area. There's also a wide selection of restaurants, in popular areas like Forman Street, Chapel Bar and Low Pavement in the city centre or around Goose Gate to the east in Hockley. 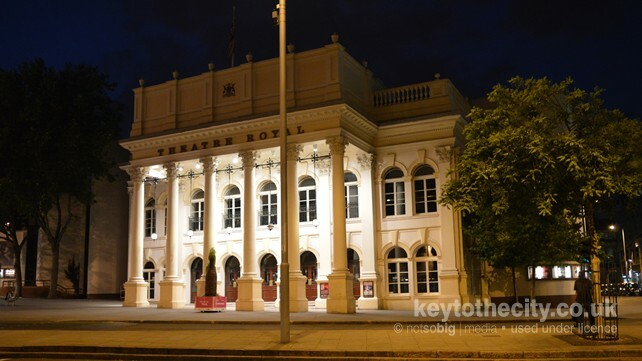 Finally, why not take in a show at the Theatre Royal or see a concert at the Nottingham Arena. Nottingham has several large venues which draw visitors form far and wide. 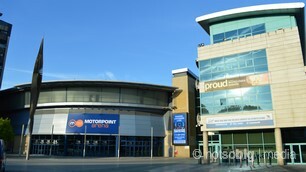 The Nottingham Arena host major gigs and concerts whilst the Theatre Royal attracts large scale touring shows. Nottingham has a wide selection of restaurants, with many national chains moving into the city. There are though plenty of great independent restaurants too, especially in the Lace Market area. Popular dining areas are Forman Street with the Cornerhouse at its centre, the top of Maid Marian Way or Chapel Bar with its outdoor seating. The city is full of well known restaurants, bars and clubs. Check out the Forman Street with its outdoor seating or the Lace Market district. Saturday nights are especially lively as thousands of party goers flood into the city centre. Saturday night is Nottingham's biggest night out and thousands from the surrounding area as well as a myriad of stag and hen parties descend on the city centre. The busiest bars and clubs can be found in the Old Market Square area, especially around Chapel Bar to the west and Pelham Street to the east. In the summer head down to the bars on the canal or head over to the Lace Market for more laid-back venues. This is the busy heart of Nottingham's Nightlife, including Chapel Bar, St James's Street and Pelham Street towards the Lace Market. You can also find takeaways on Angel Row. The Lace Market is Nottingham's trendier nightlife area. In the south head over to High Pavement, or in Hockley in the north, head to Carlton Street, Broad Street and Goose Gate. Head to the north of the city for bars outside the Cornerhouse on Forman Street. Or head over to Talbot Street for Rock City and indie/rock bars. You can also find takeaways on King's Walk. Head down to the canal during the summer months for outdoor drinking, a firm favourite place to go early evenings. This section lists the popular casinos in Nottingham and also features any other late night entertainment available in the city.